Like a matchmaker, it is our job at Roger’s Piano to find you the most appropriate piano to suit your needs and level of playing. We will ask you questions about your preference for tone and touch. If your primary concern is making sure the piano fits with your home decor, we can help you too! There is a piano out there for everyone. When you find a piano on our showroom floor but the look of the cabinetry isn’t exactly your cup of tea, ask us if it is available in a different finish. 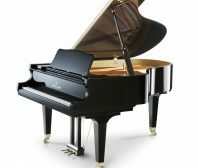 If you are searching for a piano that is difficult to find, we will check with our many piano sources to see if we can help locate your dream piano. If you are willing to work with us, we will do our best!